Lardos beach is a Blue Flag awarded beach, situated on southern end of Pefkos bay, at about 3 km from the village of Lardos and 57 km from Rhodes town center. The beach of pure lava sand and pebbles, is well organized and doesn’t get very crowed, even in high season. There are a few facilities for swimming and sunbathing like sun beds, umbrellas, pedalos and canoes. There are also water sports in offer and some nice bars and restaurants. 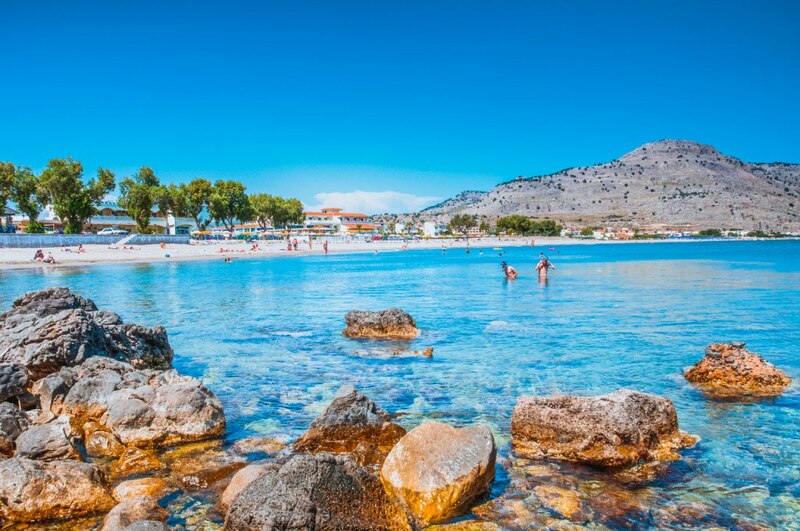 Lardos beach is great for a quite and relaxing day under the sun. The nearby village of Lardos worths a visit. It is a typical Greek village with warm open people and good food.